Why upgrade your bathroom with bathroom upgrades? If you are looking for a way to revive your property without spending thousands of pounds, your bathroom is the place to start. Typically as one of the smaller rooms in your home, the bathroom is an easy room to improve as it has a lot less space and fewer features compared to other rooms in the house. Although it is small, it is one of the most used rooms in your household and can have a dramatic effect on your property’s overall value if updated and renovated. It is also one of the most affordable property upgrades and causes a minimal amount of disruption to the property inhabitants. So if you’re thinking of upgrading your bathroom but are unsure where to start or need some inspiration – look no further! We have devised a list of things you can do in you bathroom to improve it dramatically, for an affordable price. One of the best ways to improve your bathroom is to install new taps. New taps are just a small accent of decor in your bathroom, but can make the world of a difference. Be sure to keep the design of your bathroom, as well as the rest of your property in mind when deciding on the taps that you want. Is your property a traditional design, or are you revamping your property for a more modernised look? We work with supplier who offer a variety of modern and traditional taps to suit all homes. Be sure to keep a close eye on your bathroom taps, if you live in a hard water area, it can begin to damage your taps and cost you more money on your water bills. Calcified materials and minerals are present in water which can begin to cause blockages in your plumbing system. You may notice white residue collect around your bathroom taps, if this happens it can be removed with chemical detergents to rid grime and calcified material. If you would like to solve the problem for good we would recommend investing in a water softener to minimise the amount of materials in your properties water. Organisation brings a sense of relief to your life. Your bathroom is one of the most commonly used rooms in your property and is home to a lot of beauty products and tools. 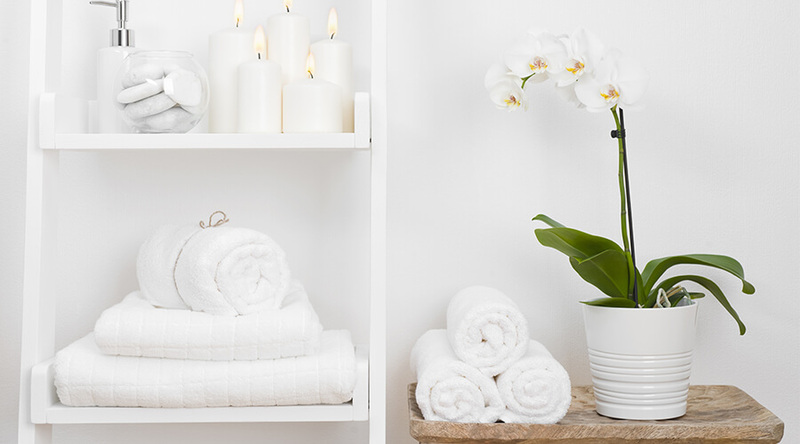 Without storage these items will be strewn all over the place, making your bathroom look untidy and unclean. Bathroom storage can give all of your belongings a home and make your bathroom more organised and neater. Bathroom storage units are available in a variety of colours, shapes and sizes to suit all bathroom designs. We recommend stand up bathroom units with shelves and drawers, although if your bathroom is on the smaller side there are a variety of cabinets and cupboards available to optimise storage in smaller bathrooms. One of the best ways to upgrade your bathroom and give it a complete revamp is to repaint or retile it. Most bathrooms are decorated with tiles as they are easier to maintain. Tiles are designed to withstand warm temperatures as well as moisture. Tiles can be cleaned with chemical cleaners or by simply using cloth and water, we would recommend cleaning your bathroom tiles with water as harsh chemicals can start to deteriorate the motar sticking the tiles to your wall, it can also take the colouring or pattern off your tiles. As for paint, it’s easier than decorating your bathroom with tiles and can be done by yourself; this makes it not only a more cost effective alternative but also quicker. However, the only with the paint is that it has less ability to withstand the temperatures and conditions common in a bathroom. For example warm temperatures, steam, and moisture can cause paint to peel away from the wall. If you decide to paint your bathroom, we would also recommend investing in a mould-proof paint, as you know that mould thrives and can grow in moist and warm climates. Meaning that a bathroom is the perfect environment for mould, damp and mildew. Mould comes with serious health hazards, and if it begins to grow between your tiles or in the corners of the room, remove it immediately or contact a professional. We all know the feeling of a nice warm shower after a long day at work. Why no maximise the luxury experience by installing a new shower or bath? You wash every day; therefore a shower or bath are likely one of the most used devices in your home – so why not splash the cash on something you know you’re going to get out of? Showers these days can include LED lights and Bluetooth speakers, so dependent on what you like you could spend extra money creating a really relaxing experience. A shower before bed helps you become tiresome and drowsy which can aid you in achieving a good night sleep. As for baths, you can play around the design more. Baths can be bought with jets, free-standing or joined to the wall. 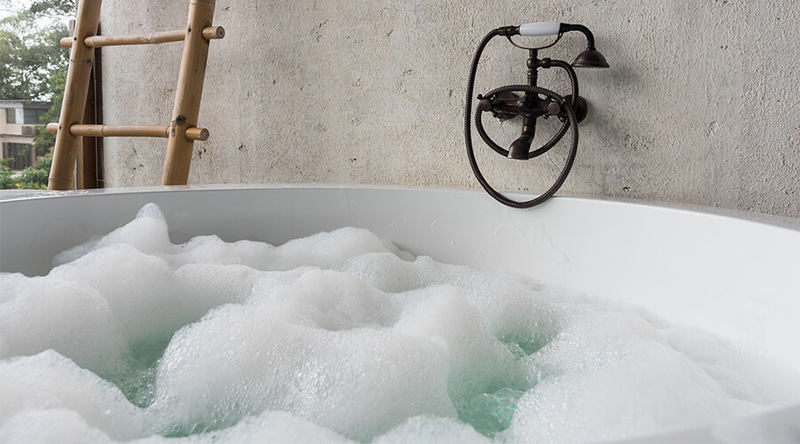 Depending on the kind of design you are looking for we recommend choosing a bath that fits your properties all round interior. Now you know some of the most cost effective and best ways to upgrade your bathroom, put them into play and improve the visual appeal of you bathroom! Be sure to Baker Smith/Cathedral Bathrooms help you out along the fittings, repairs and installations.